Addis Ababa, Ethiopia (10 January 2014) – The African Society for Laboratory Medicine (ASLM) commends United States President Barack Obama for nominating Dr. Deborah Birx as Ambassador at Large and Coordinator of United States Government activities to address HIV/AIDS globally. Dr. Birx has served as a committed advocate for ASLM’s pan-African efforts to improve quality patient care and disease control through improved laboratory systems and networks in Africa. ASLM applauds the nomination of Dr. Birx for this important global post and publicly recommits itself to the goals of its ASLM2020 strategic vision – improved patient care and disease prevention and control through a strengthened laboratory workforce, laboratory accreditation, harmonised pan-African regulatory systems and strengthened national and regional laboratory networks. Dr. Birx has contributed significantly to advancing the global fight against HIV/AIDS for decades, including through the United States President’s Emergency Plan for AIDS Relief (PEPFAR). She most recently served as the Director of the Division of Global HIV/AIDS in the Center for Global Health at the United States Centers for Disease Control and Prevention (CDC). When confirmed as the Global AIDS Coordinator, Dr. Birx will lead the PEPFAR programme. 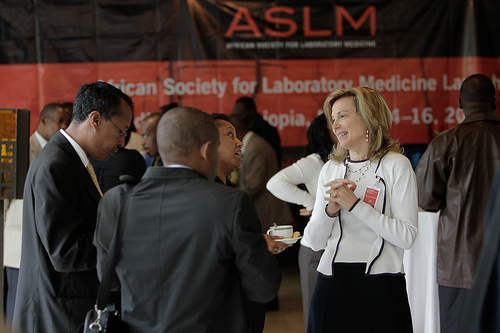 Dr. Birx was awarded the first ASLM Lifetime Achievement Award during the ASLM launch ceremony in March 2011, in recognition of her outstanding and continual support for laboratory strengthening initiatives in Africa including pioneering work on accreditation in Kenya, Tanzania and Uganda. ASLM extends its appreciation to Dr. Birx for her past support in creating sustainable, local health programmes and applauds her nomination as the next United States Global AIDS Coordinator. Saving lives through HIV testing coverage, increased laboratory efficiency, lowered costs and sustained local capacity can be achieved through the commitment of global partners.